Learning ESL conversations is one of the hardest parts of learning to speak English. This is unlike learning grammar or vocabulary where you can sit down and learn it by reading books and studying. Learning how to have a conversation is different, harder. These are the newest topics added to the page. New material is added regularly so keep checking to see the new topics. Alternatively, like Excellent ESL 4U’s Facebook page for updates of all the newest additions to the site. You have a conversation in real time. There is the other person right there in front of you waiting for you to say the correct thing back to them. You do not have time to go and look the word up in a dictionary as you would do when writing. You have to say something now. A lot of problems ESL learners have with conversations are related to being able to respond fast enough. These problems can be overcome with practice and confidence in your own abilities. However, it can be difficult to find someone to practice conversations with, so this section of the site has been written to give you examples of conversations. This will let you see the sorts of responses a native speaker would make in a certain situation. 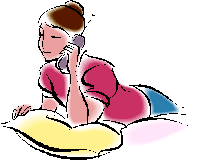 All the conversation topics on Excellent ESL 4U are illustrated with a video showing the situation. Below is the newest video added to the site. This section has example conversations at various different levels. Some are for beginners, some for intermediates and some for advanced learners. The example ESL conversations are based around different topics and each topic has example conversations for you to read, or watch as videos so you have visual clues to help you understand them. There is also other information in the other sections of this site that will help you. Each topic area is covered in various parts of the Excellent ESL 4U site. There are word lists in the vocabulary section. You can also download these as an audio file so you can listen to the pronunciation. There are flashcards to help you learn the new vocabulary. There are reading comprehension exercises and listening comprehension questions. There are also worksheets of all of these exercises for you to download and use. Also remember you can contact me if you have any questions through the contact me page or via the Excellent ESL 4U Facebook page. ESL Banking Conversations - Example conversations and exercises to help you learn about banking. ESL Doctors Conversations - Conversations and exercises about visiting a doctor to help you learn the correct phrases. 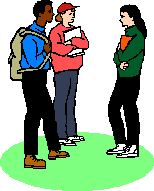 ESL Meeting Someone New Conversations - Examples of conversations when some people are meeting for the first time. ESL Halloween Conversations - People using the ESL Halloween vocabulary in example conversations. ESL Pets Conversations - How to use the ESL pets vocabulary in everyday conversations. ESL Weather Conversation - Example conversations and exercises about the weather. 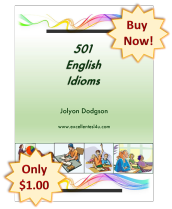 ESL Shopping Conversation - Conversations about shopping so you can see natural examples. ESL Travel Conversation - Example conversations to help you get better at speaking. ESL Sport Conversation - People using sport vocabulary in natural example conversations. ESL Legal Conversation - Example conversations and exercises to show you legal vocabulary being used. ESL Driving Conversation - Natural conversations so you can see how driving vocabulary would be used by a native speaker. ESL Work Conversation - How to use work vocabulary when having a conversation. ESL Eating Out Conversation - Example conversations about eating out in restaurants. ESL Houses Conversation - People talking about houses and using houses vocabulary in a natural way. ESL Taking a Trip Conversation - Conversations and exercises to help you use taking a trip vocabulary when talking. ESL Family Members Conversation - Examples of conversations and exercises to help you practice having conversations using family members vocabulary. ESL Party Conversation - Example conversations and exercises for you to do about parties so you can use the party vocabulary. ESL Christmas Conversation - A page with example conversations and exercises all about Christmas. ESL University Conversation - Example conversations that use the university vocabulary and conversation exercises. ESL at the Beach Conversations - Conversations about going to the beach and how to use at the beach vocabulary. ESL Supermarket Conversations - This page has example conversations that use the supermarket vocabulary. ESL Birthday Conversations - Example conversations and exercises with the birthday vocabulary used in them. ESL Hotel Conversations - There are example conversations and activities all about using hotel vocabulary on this page. ESL Cities Conversations - This page has material and examples to help you understand the language used in cities conversations. 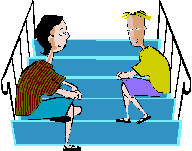 ESL Describing People Conversations - This page features example conversations and exercises all about the describing people vocabulary. ESL Cooking Conversations - Example conversations about cooking, food and eating out to help you learn the cooking vocabulary. ESL School Conversations - Conversations and exercises all about using school vocabulary. ESL Baby Conversations - There are example conversations and exercises all about using baby vocabulary when talking. ESL Politics Conversations - Examples and exercises all about using politics vocabulary so you can learn the words. 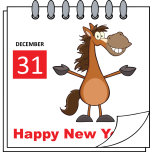 ESL New Year Conversation - You can use the example New Year conversations on this page to practice New Year vocabulary.